After being absent from the downtown core for years, the Windsor Parade Corporation has announced the return of the Canada Day and Santa Claus Parades to the city centre. In recent years the Canada Day parade had been held along Wyandotte Street East, while the Santa parade was in Olde Sandwich Towne. The parades will take place on July 1st and December 1st. Celebrating Canada’s national day, the Parade was a staple of the Original Freedom Festival and dates back to 1959 when it was known as the Dominion Day Parade. 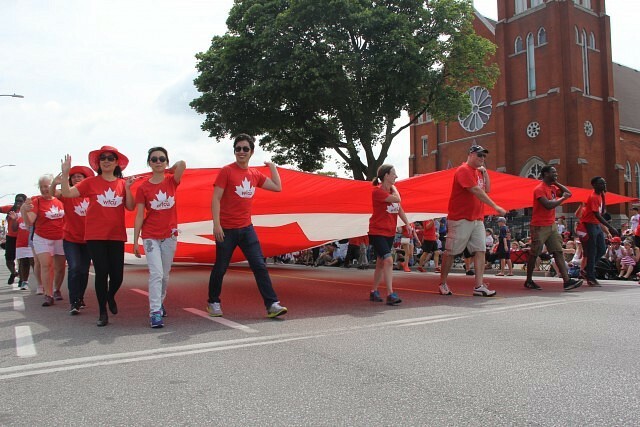 Organized by the Windsor Parade Corporation since 2004, the annual Canada Day Parade features 65+ units including marching bands, giant character balloons, floats, businesses, charities and more, and typically attracts thousands of spectators. Established by the Windsor Jaycees in 1969, 2018 marks the 50th anniversary of the Windsor Santa Claus Parade in celebration of the holiday season. “The Windsor Parade Corporation is excited to be returning to Downtown Windsor which was the original parade route for the events. This will be the 50th Annual Windsor Santa Claus Parade, and it is nice to bring it back to its historic home,” said Maggie Durocher, Chairperson for The Windsor Parade Corporation.